Flaunt the inner angel in you with this fabulous gold angel wing necklace. 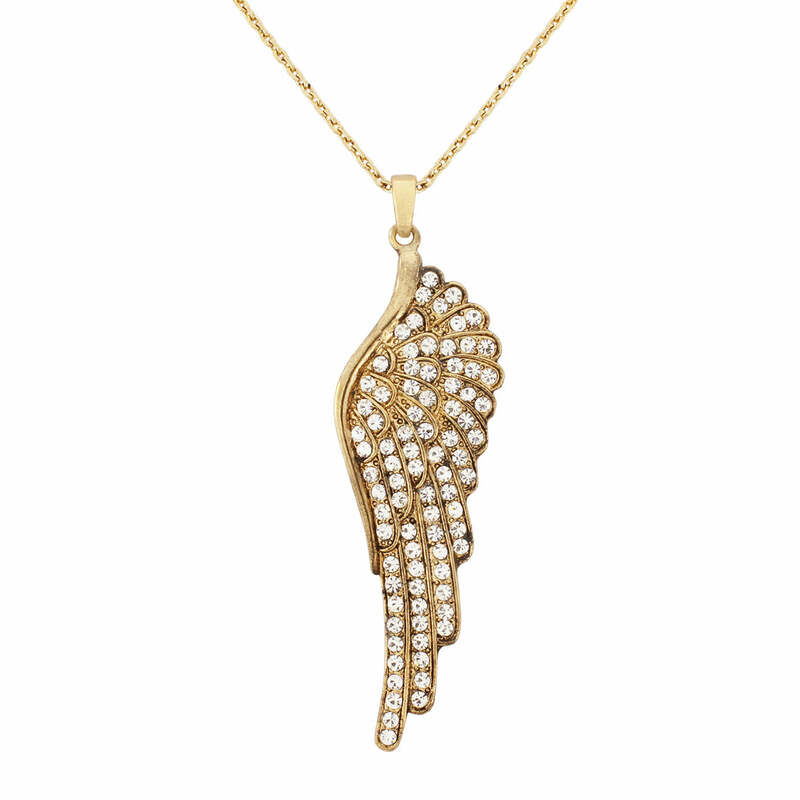 Unleash the inner angel in you with this fabulous angel wing necklace! Featuring a statment antique gold tone wing encrusted with sparkling Austrian crystals and complete with co-ordinating chain, this neckace could easily be mistaken for a precious diamond 'piece'. Wear with everything from a vest top and jeans for daytime chic or dress up a little black dress with a hint of sparkle. A fabulous gift for someone special and a meaningful bridesmaids gift and keepsake for the bridesmaid who has been an angel in disguise to a stressed out bride-to-be!